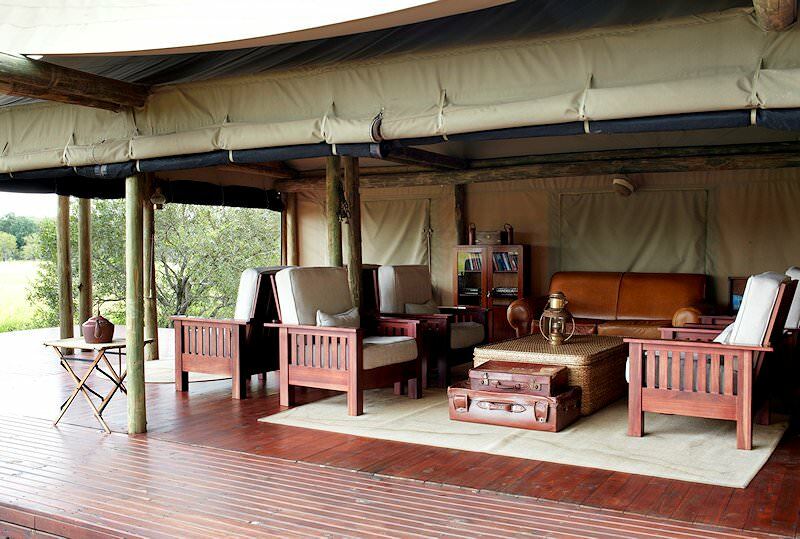 Plains Camp is an exclusive, intimate walking safari camp in the heart of Kruger Park. Plains Camp is a luxury South African safari lodge which will astonish and amaze the visitor with its intimacy and high level of comfort. Reliving a safari experience akin to that enjoyed by the explorers of Africa in times past, guests stay out in the open savanna, in tented rooms with en suite facilities. Foregoing the harsh camp life of these early explorers, Plains Camp offers the experience, but with the comforts, style and luxury that you deserve. 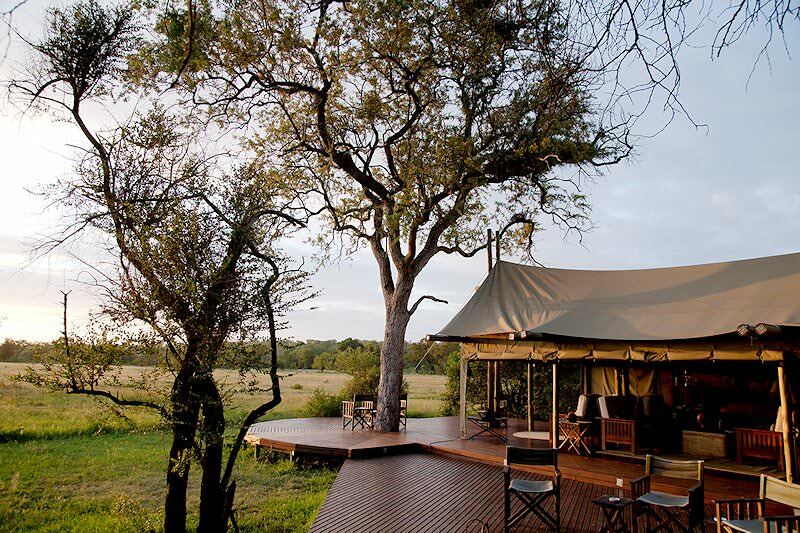 Plains Camp has only four luxury, safari-inspired tents that will transport guests back in time, to experience the Kruger Park firsthand and up-close. The comforts of home, electricity supplied via generator and hot running water will turn the safari into a comfortable and extremely pleasant experience. Days commence with coffee and rusks, followed by a bush walk and brunch. After a rest and keeping an eye on the nearby waterhole, high tea follows, ending with a walking safari or game drive and a sundowner. 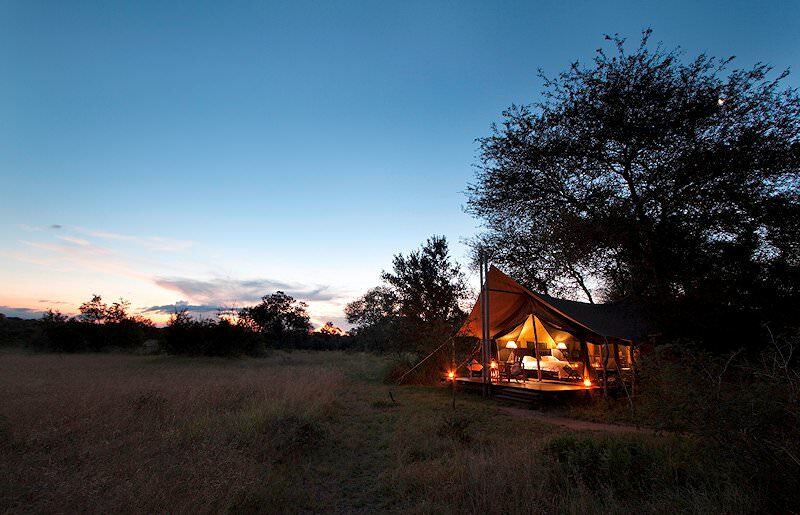 Those that want to roughen up their luxury Kruger Park safari can opt for a “sleep-out” where one overnights in the bush on a platform out under the stars. 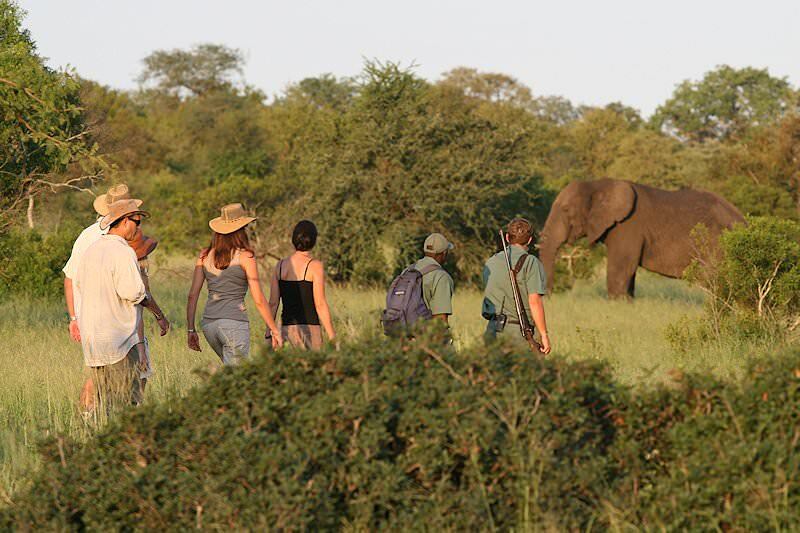 From O R Tambo International Airport, guests are flown to Nelspruit in Mpumalanga and transported to Plains Camp in the Big Five-rich Kruger National Park for their South African safari. 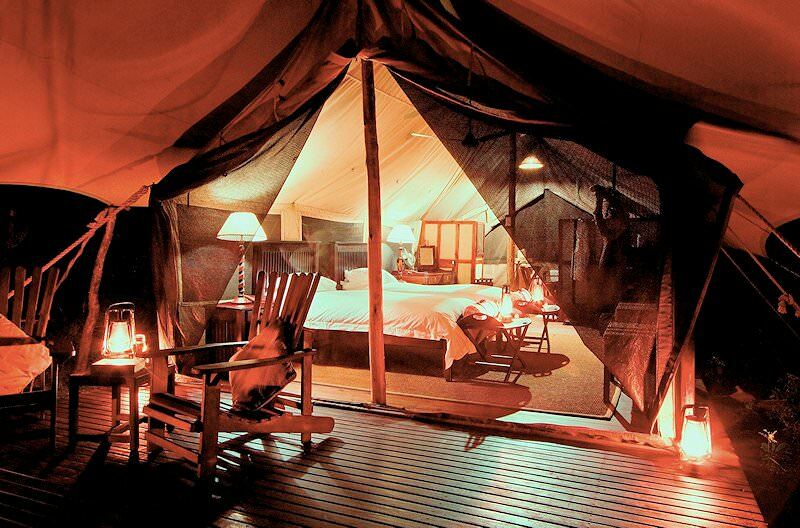 The camp offers a truly unique, intimate bush experience. 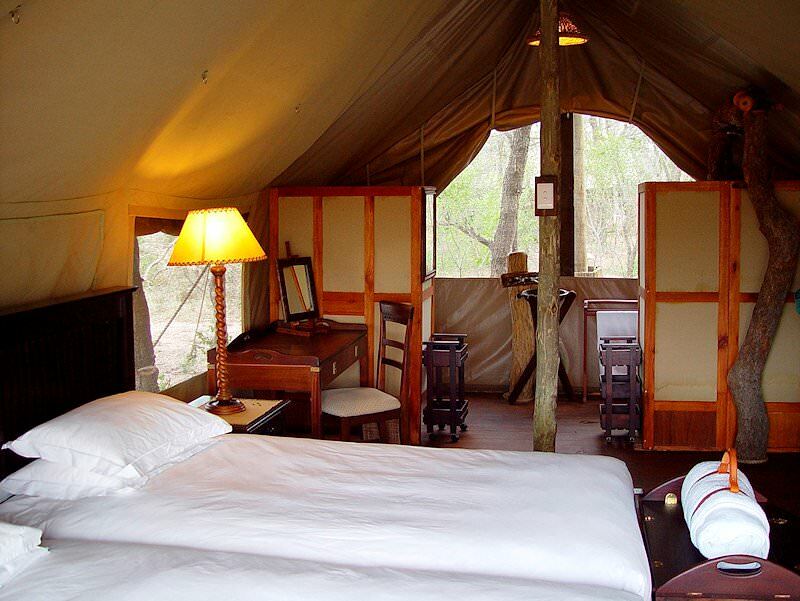 Unfenced and isolated, the camp consists of four wood-and-canvas en suite tents and a communal dining and lounge area. 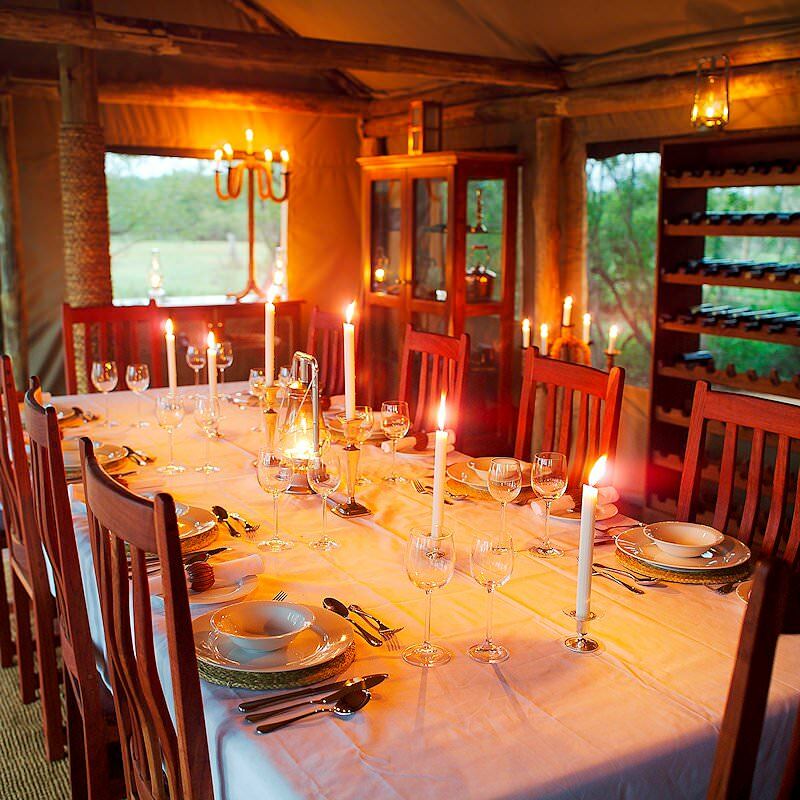 As with everything else about this camp, breakfast, lunch and dinner are private affairs prepared specially for your group. 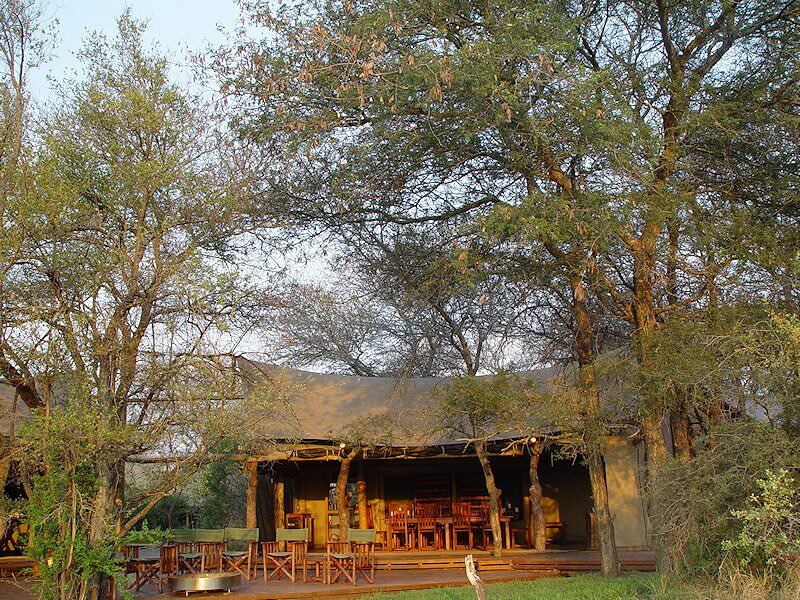 Plains Camp is particularly known for its walking safaris, which consist mainly of tracking elephant and rhino in the area. 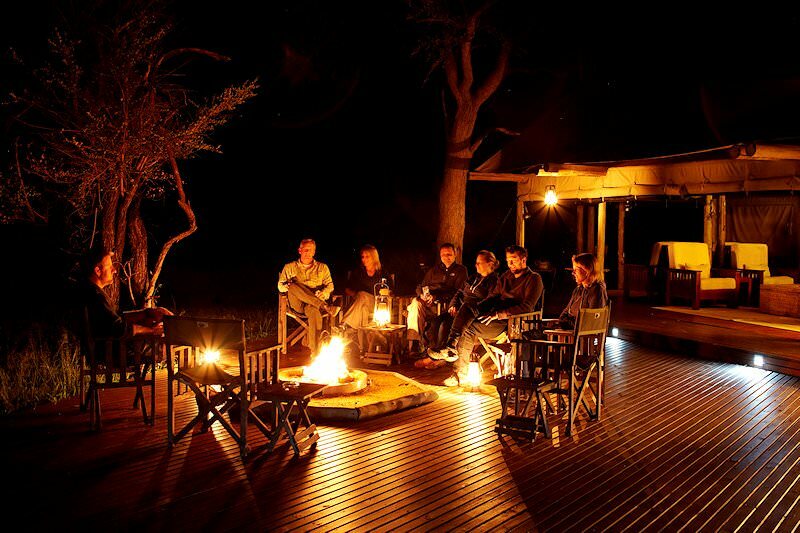 When not traversing the bush on foot, guests can opt for a traditional game drive in the private concession or relax around the fire and observe wildlife gathering around the waterhole. 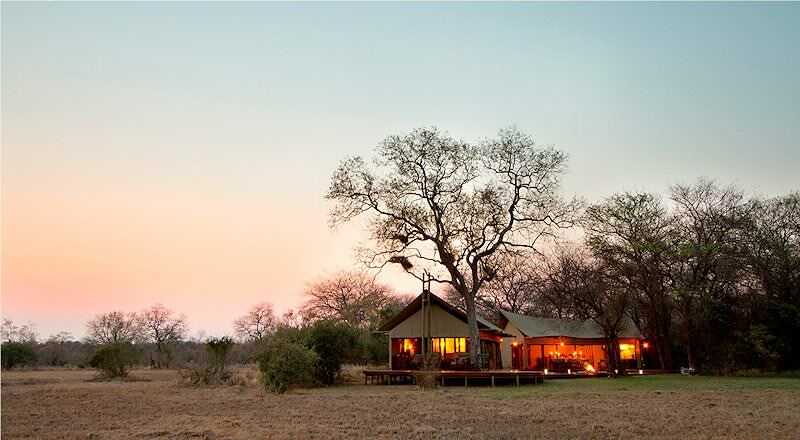 At night, the veld comes alive with a soundtrack of roaring lions and nocturnal birdlife. 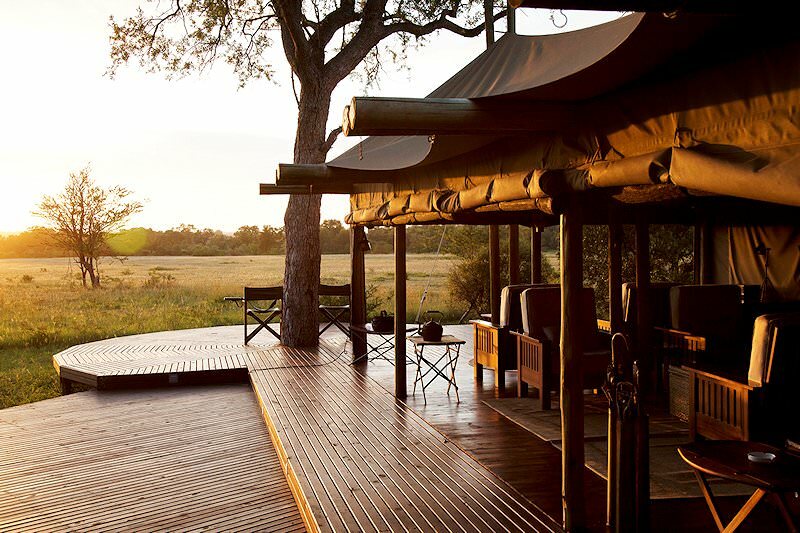 There is no more peaceful a setting for a South African safari than this sequestered utopia in the Kruger National Park. Travel to South Africa for an unforgettable safari in the Kruger National Park. 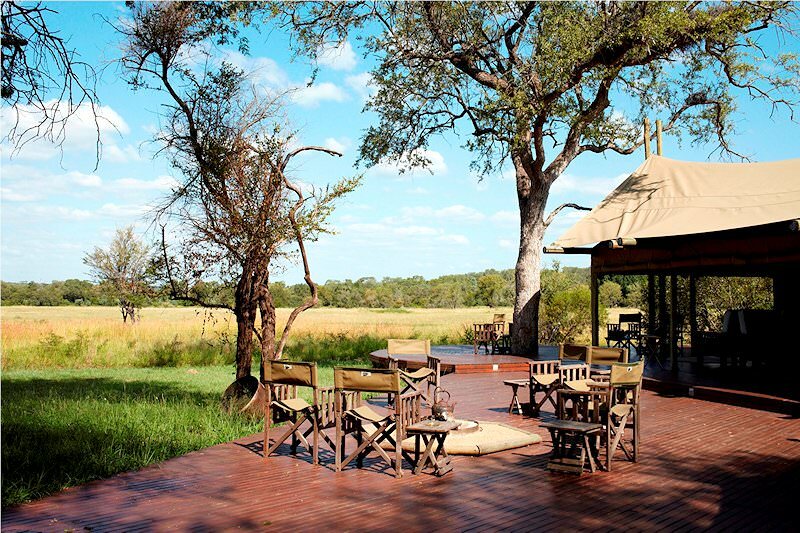 Botswana's safari areas are vast and remote, from the Central Kalahari to Chobe. Namibia's bewitching desert scenery makes for unique safari backdrops. Zambia's national parks may be tough to reach, but the safaris are spectacular. Relish exciting safari activities in and around the popular town of Victoria Falls. Mozambique's beach safaris combine coastal leisure with marine adventures. The Kruger National Park is Southern Africa's most diverse safari destination, with 147 different species of mammals that include the Big Five. 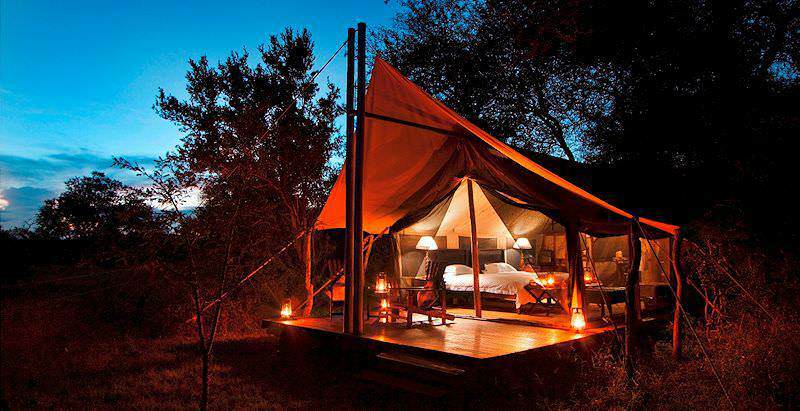 A luxury safari offers access to prolific game viewing, sumptuous accommodations and lavish treats like fine dining. Our Big Five safaris are typically conducted in South Africa's wilderness areas, from Addo Elephant National Park to Sabi Sand. The African lodges used in our safari itineraries include choice properties selected for their service levels and the location's game viewing potential.